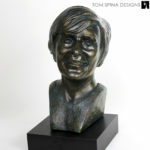 “Chef Bob” is a life sized bronze style bust created from photos as a retirement honor for a beloved co-worker. 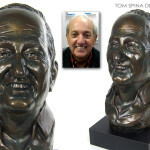 This life sized bronze tribute bust has the look of a real metal statue without the wright or foundry time and expense. It makes an ideal approach when sculpting a gift or sticking to a corporate budget. The bust was sculpted in a water based clay by one of our sculptors and then molded with silicone to create a negative of the face we’d made. From that negative mold, a final resin bust is cast. 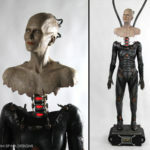 The resin is a bit like fiberglass for those familiar with that material. 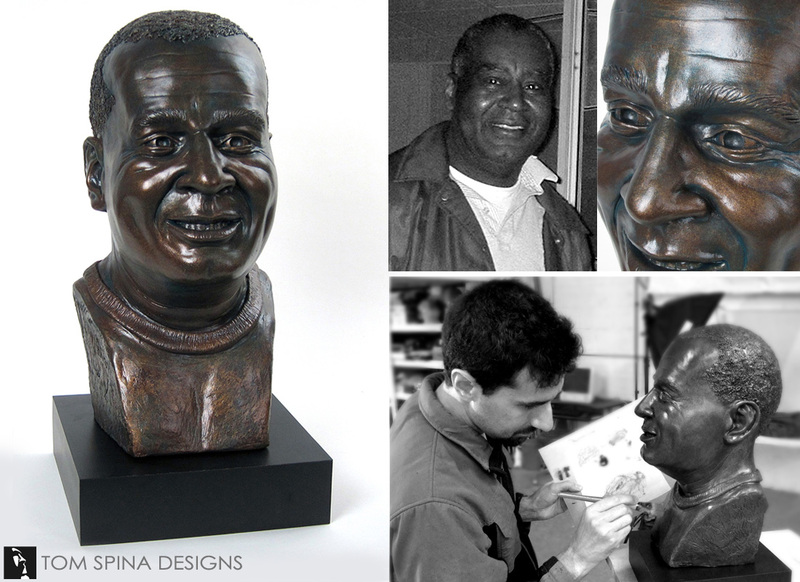 The resin bust is then hand painted with a faux bronze finish to create the realistic look you see in the photos. The result is a sculpture that looks like real bronze, right down to the patina, but without the weight and added cost. 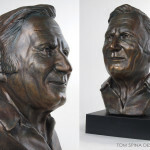 Speaking of photos, we created this sculpture from photos, so that the real Chef Bob would be surprised when they unveiled this one of a kind honor! We love creating classical style sculptures like plaster and bronze work, and while this example is resin, we can also work with foundries to create actual heavy bronze busts suitable for outdoor display, so don’t hesitate to drop us a line if you’d like us to create for you! Are you looking for a unique way to honor someone?